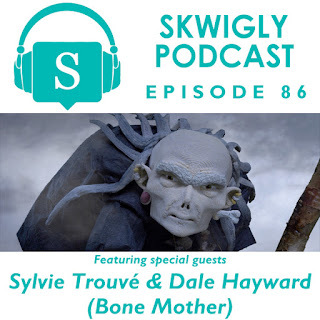 Just in time for Halloween, our spooky eighty-sixth episode of the Skwigly Animation Podcast features directorial duo Dale Hayward and Sylvie Trouvé - whose National Film Board of Canada film Bone Mother has been released online this month - speaking with Laura-Beth. 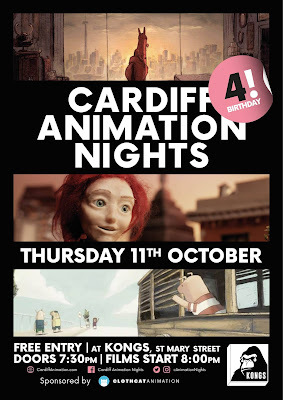 We also round-up some creepy animated short film highlights we've caught during our recent patronage of the BFI London Film Festival, Cardiff Animation Nights and the Encounters Late Lounge and get up to speed on the progress of Marimo, while Steve and I discuss the legacies of two dearly-missed animation stalwarts Roger Mainwood (Ethel and Ernest) and Claymation pioneer Will Vinton, whose work has and will doubtless continue to leave a lasting impression on animation history. As always you can either direct download or give it a stream, although if it's still the 31st when you're reading this I'd recommend the latter as there's a 50/50 chance you'll get to hear a secret (well, not so much now) 'haunted' version of the episode. 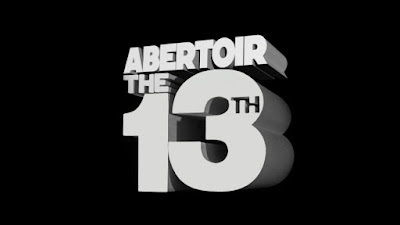 Sticking with the theme, the next festival that will be featuring my own creepy short Sunscapades is Abertoir: The International Horror Festival of Wales that takes place at the Aberystwyth Arts Centre from November 13th-18th. I'm not sure when exactly the film will screen just yet but I'm assuming it'll be either Thursday 15th or Friday 16th in one of the shorts programmes. In the meantime treat yourself to a gander at the festival line-up, it looks like a pretty fantastic event, all things considered. Right, back to my evening of waiting for trick-or-treaters to show up and watching their faces fall when I give them handfuls of loose Fisherman's Friends. You've got to keep active as the nights draw in, folks. As the days grow darker and chillier I take some comfort in seeing that Sunscapades is gradually picking up steam, with international screenings scheduled through the new year and the online community ablaze and agog with chatter about its impact on the independent filmmaking scene (by which I mean a few people have tweeted about it). One upcoming event who've just announced their full programme is the excellent London International Animation Festival, one I've frequently attended in a Skwigly capacity but never before as a filmmaker. Fortunately Sunscapades has been deemed grim enough to be part of their Late Night Bizarre programme on Saturday December 8th at the Horse Hospital, an indie arts venue that's no doubt riddled with angry horse ghosts whose vengeful equine spirits can only be assuaged by my cartoon merriment. You know how it goes. In the more immediate future I have some updates on the busy few days the film has ahead, with screenings in Wales, Serbia and the US coming up. 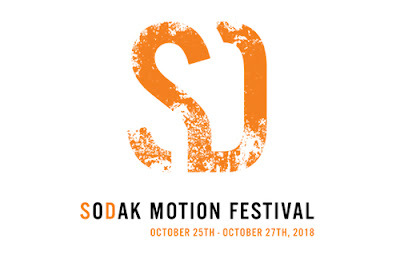 First off the SoDak Motion Festival in Brookings SD will include it on October 25th in their official selection that kicks off at 7pm. This will be at the South Dakota Art Museum (I'd previously mentioned it would also play in Sioux Falls on the 27th but I gather that one's been cancelled - FIE ON YOU, SIOUX FALLIANS. FIE I SAY!). The following evening it will be in Serbia for Film Front, who've now announced the International Selection screening time will be 8pm at the Novi Sad Cultural Center. 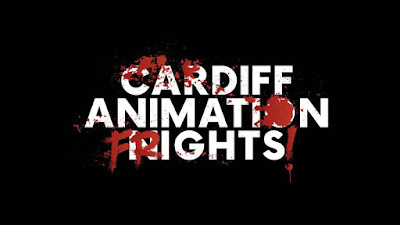 Finally on Saturday 27th I'll be heading over to Chapter in Cardiff to catch the film's inclusion as part of Cardiff Animation Frights, which starts at 7pm - tickets for the screening are now on sale and as it's my birthday eve I'll be in an extra jubilant mood, so come along and keep me company as I continue to age gracelessly. Getting to see Sunscapades in front of a proper festival audience for the first time at Encounters last month was pretty darn wonderful and a hard one to top. However the massive crowd at yesterday's BFI London Film Festival screening proved to be up to the task. I was also blessed to be among some fab film talent whose work was also screening - including recent Skwigly interviewee Anna Mantzaris - not to mention most of the Sunscapades crew Laura-Beth, Hannah, Fiona and Phil. I appreciate that when men who look like me get sentimental it just comes off as creepy so I'll be brief in once again voicing my love and gratitude to such a fabulous team as well as Elaine and the rest of the LFF gang for letting my creepy little film be part of such a great event. If you missed the Real Horrorshow screening yesterday then you can still check it out this Thursday 6:30pm at Rich Mix, if you act fast there are a handful of tickets still available here. 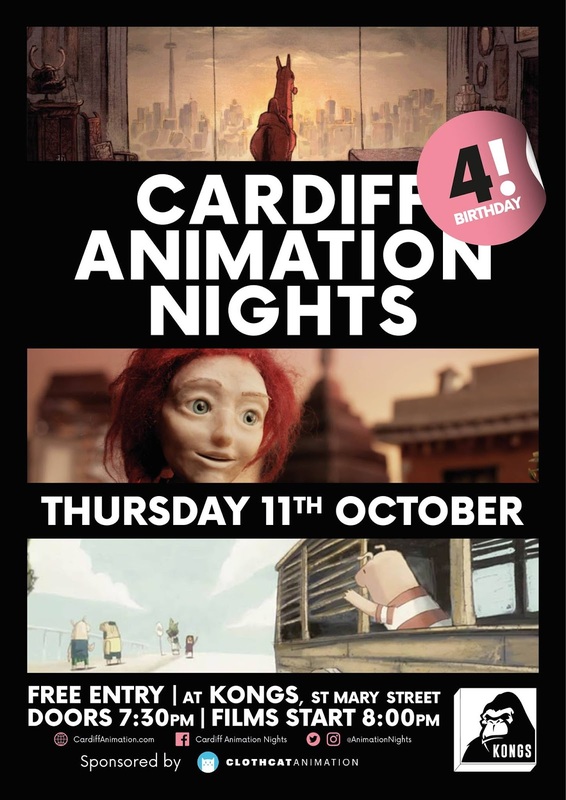 Having sadly missed the fourth birthday celebration evening for Cardiff Animation Nights I'm excited to be swinging by later in the month for their special pre-Halloween screening Cardiff Animation Frights, curated by the wonderful Dani and at which Sunscapades will again be playing. 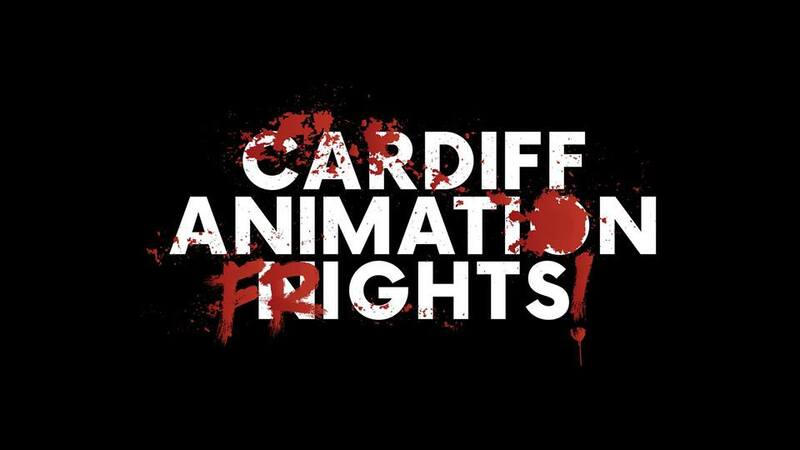 So let's all go ahead make scare ourselves shiteless at Chapter on the 27th (screening will kick off at 7pm, after which I'm sure there'll be a beverage or several to be had). That same weekend the film will be getting its hotly-anticipated (in so far as nobody's explicitly informed me that it isn't) Serbian debut at Film Front, or Filmski Front as is more fun to say. These fine folks previously programmed my films Ground Running and The Naughty List back in 2010, nearly eight years ago; that's right, folks - I've mastered basic subtraction. Although they've announced the official selection I don't know exactly when the screening will be, but the festival takes place October 25th-28th at the Novi Sad Cultural Center.